In the eternal quest for the beauty industry's edit, VIOLET GREY and our community of the most in-demand red-carpet hairstylists have selected the ultimate products one needs for a good hair day, every day. From the Ultimate #VIOLEThair Starter Kit file come the 21 products that should reside in every woman’s boudoir. Serge's shampoo and conditioner is a go-to set for me because it’s great for color-treated and non-processed hair. This cream delivers moisture to dry hair and adds perfect, lived-in definition and a beautiful scent. Twist large sections of hair around this curling iron starting at the mid-shaft and holding an inch of the ends out. These elastics are the perfect size for a ponytail as well as great for securing the ends of hair after styling in a braid. These are the perfect thing to create a ponytail, bun, top knot or French twist. 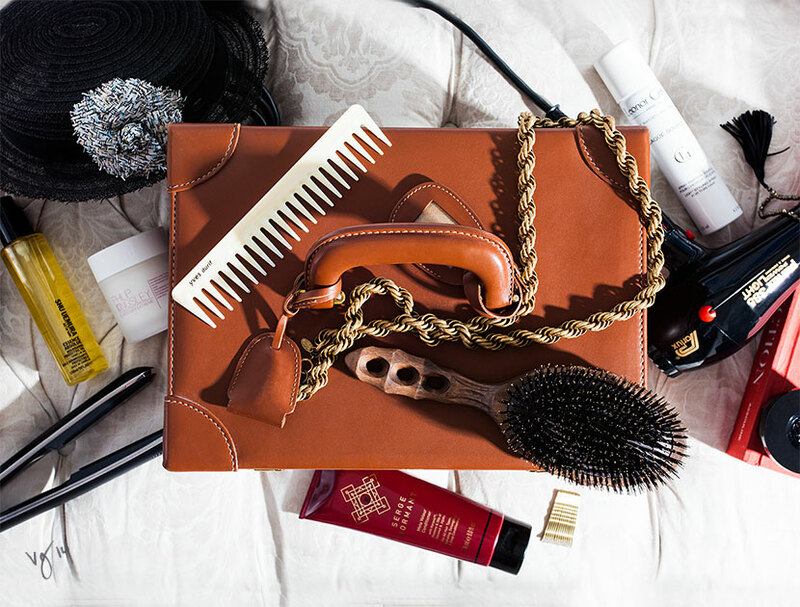 21 products and tools selected by red carpet hairstylists to create a beautiful hair day, every day.